You can only play so many minute-to-win-it games, tug-of-war and general knowledge quizzes before the frustration sets in and you are revved up to play a round or two of Battlefield Live SA. Our teambuilding activity is designed to get your teams working together on all those important aspects of team work, communication, trust, respect, listening skills and strategic thinking. There is no better way to spend time outdoors with your work colleagues, having fun. 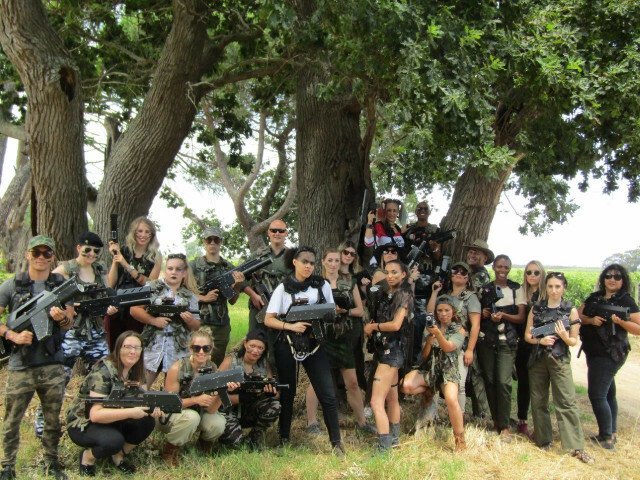 Take the plunge and book your next staff teambuild activity with Battlefield Live SA. Our activity is suitable for both men and women and there is no pain associated with the game. Our weapons shoot infra-red bullets so it is a lot safer and more environmentally friendly than playing paint ball. We are situated in Cape Town, South Africa.